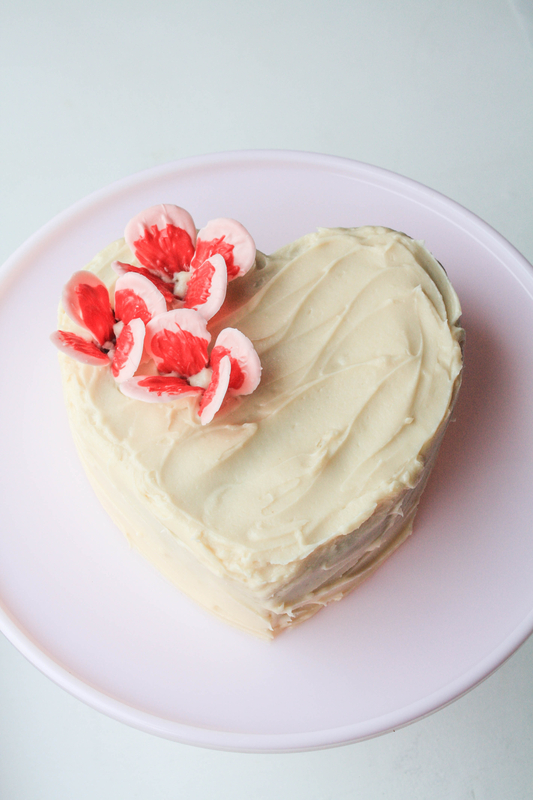 What to give your sweetheart this Valentine’s Day? Flowers? Candy? Chocolate? How about flowers made of candy or chocolate?!? Done. Just as a general FYI, I always use the word chocolate when referring to this kind of technique, even though sometimes I use candy melts, colored cocoa butters, tempered dark chocolate, or tempered white chocolate. It’s a clean and simple way to describe and categorize what I’m doing. The world of chocolate is where these techniques originate. I will always gladly let you know what I use in a specific project. 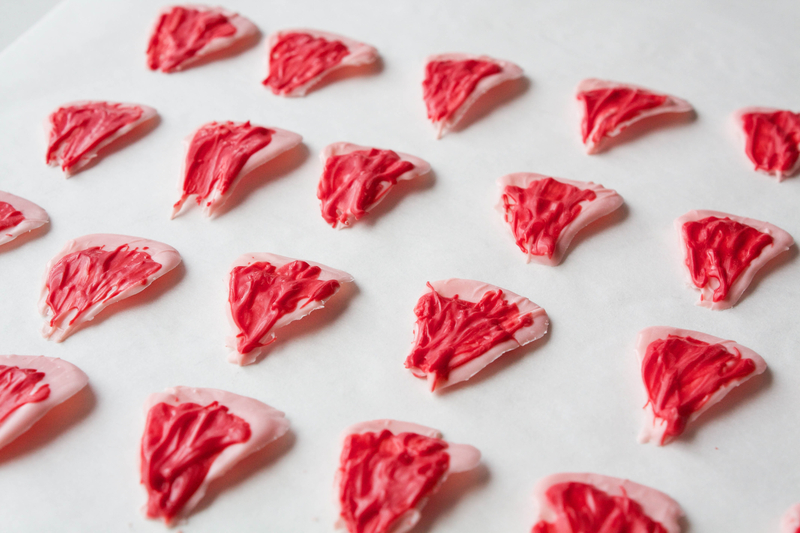 This particular technique works beautifully with either candy melts or tempered chocolate. The flowers pictured here are made with candy melts. Use whichever medium you’re most comfortable with. 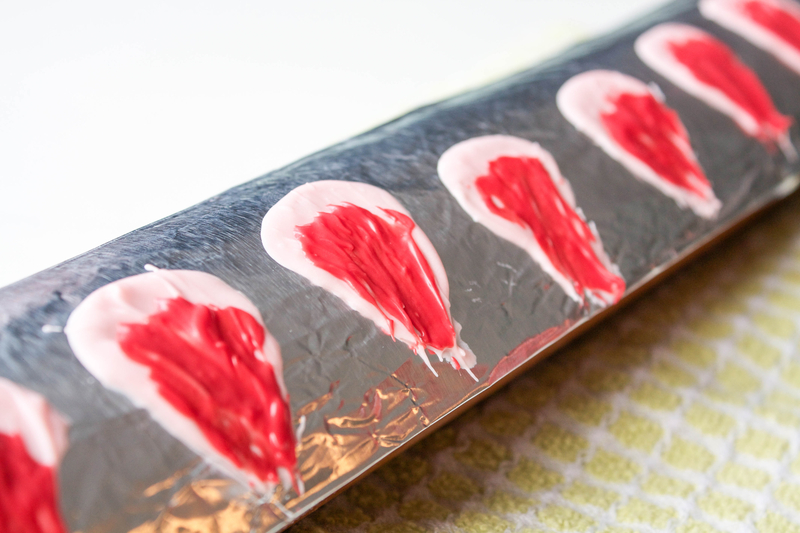 Tear off a 6-inch long sheet of aluminum foil. Fold the sheet into thirds, so that you have a long, 2-inch wide piece of foil. 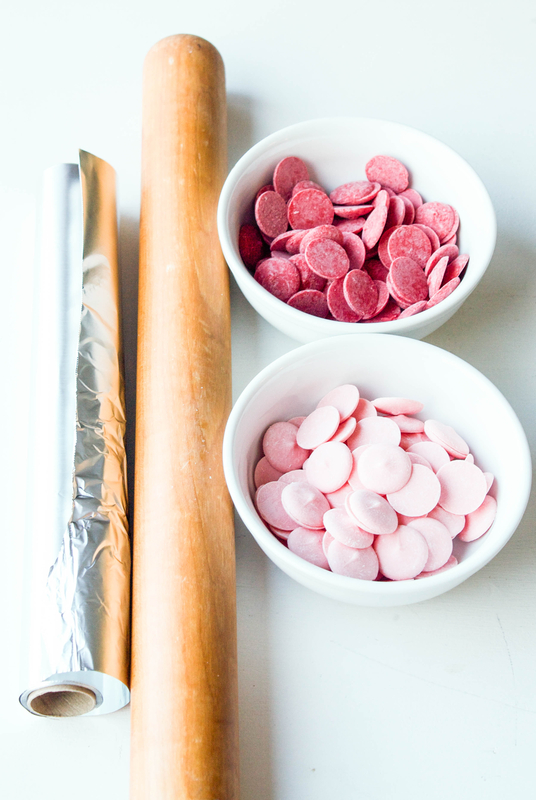 Press the piece of foil against the curve of the rolling pin. Secure the foil to the pin using a rolled up piece of tape. Place the pin onto a folded dish towel to keep it steady. Melt the pink candy melts. 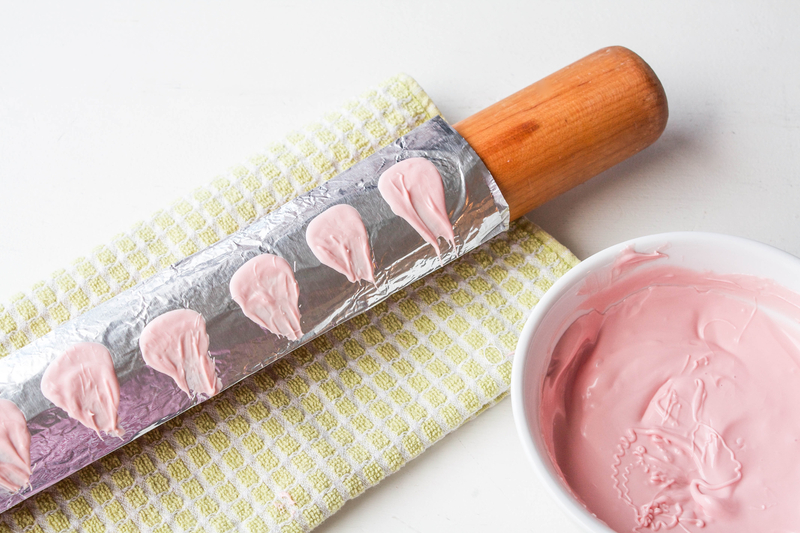 Use your thumb to smear some of the melted pink candy onto the foil in the shape of a petal. Swish your thumb back and forth to make the thicker part of the petal, then pull down and away, so that the petal is thinner towards the bottom. Repeat down the length of the foil. Don’t worry about making the petals smooth or uniform. Melt the red candy melts. 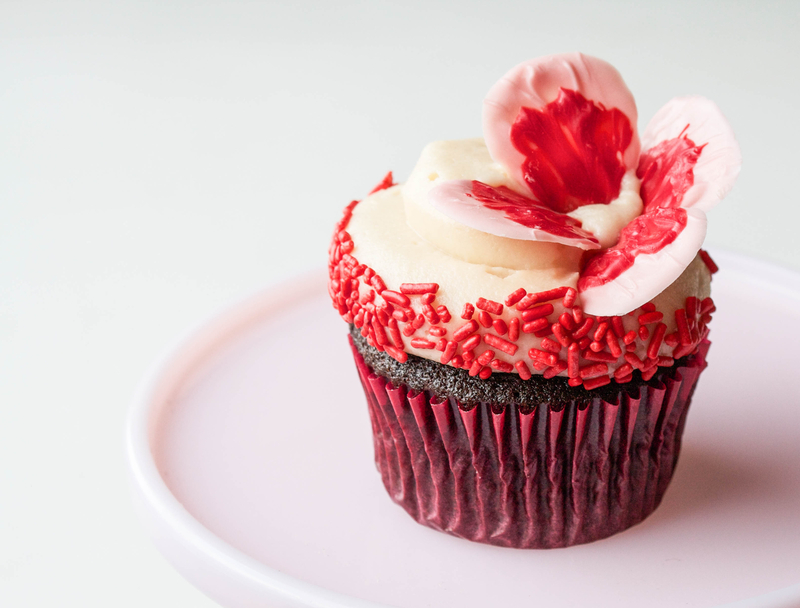 Use your pointer finger to smear the lower 3/4 of the petal with the melted red candy. Again, don’t worry about this layer being smooth or uniform. The messier you layer the color, the prettier your final petals will be. The petals should dry pretty quickly, 4-5 minutes. 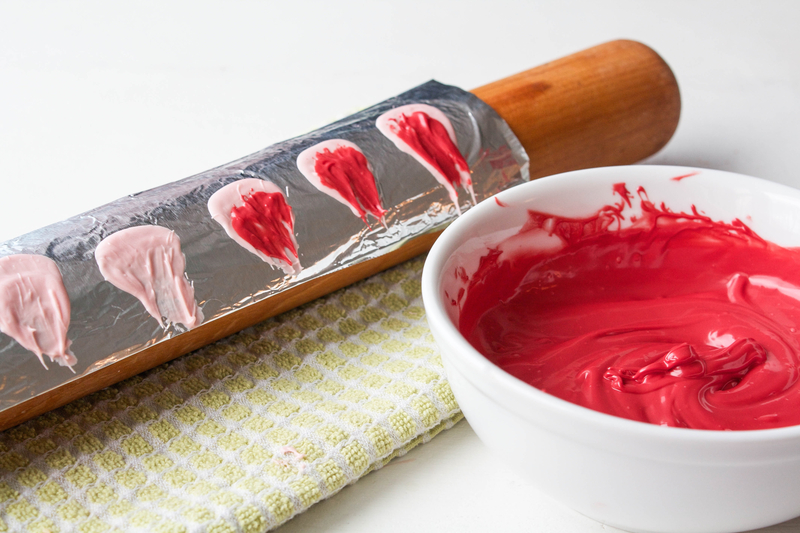 Use the tip of a small knife or pointed offset spatula to help lift the petals off the foil. You can also remove the foil from the pin first and then peel it back and away from the petals. Either way works, it’s just whatever is easier for you. Don’t worry if any of your petals break! You can easily glue the petal back together with a little bit of melted candy. 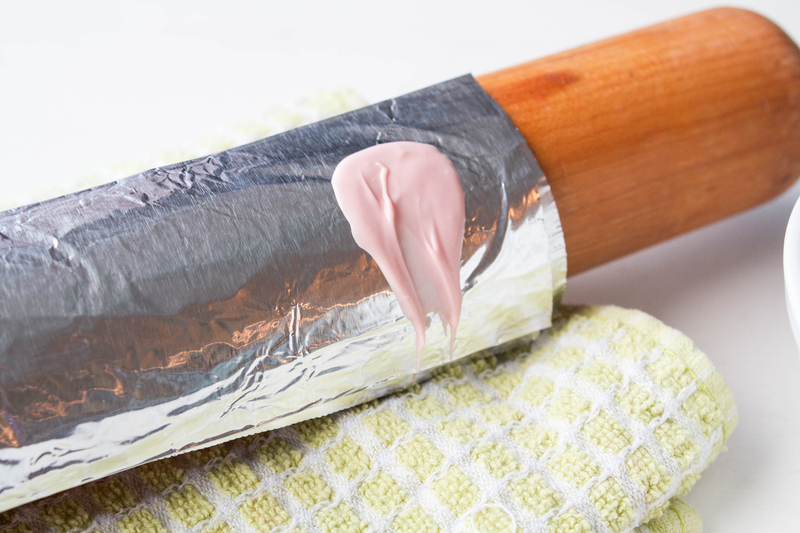 Place it back on the foil while it dries. 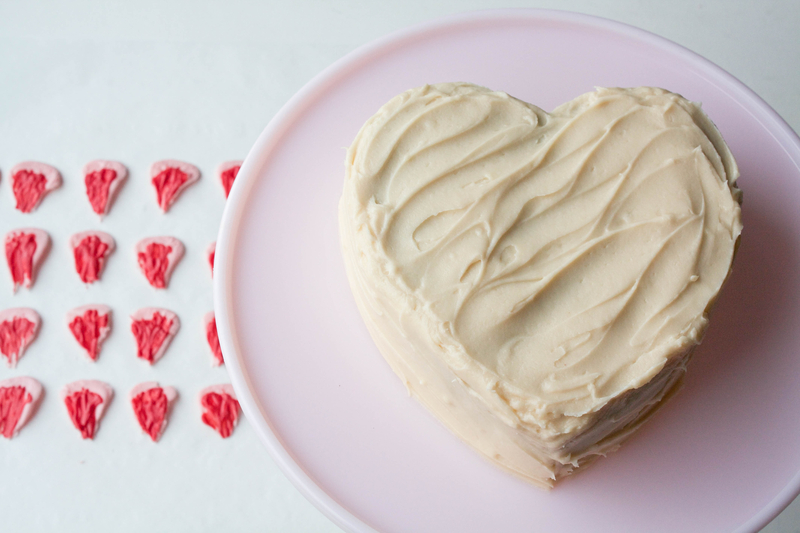 Arrange the petals into flowers by pressing them into the frosting of a freshly iced cake or cupcakes. I did little clusters of 4 petals for each of these flowers. You can do more or less, whatever looks best to you or works with your cake. So pretty and great tutorial, thank you. Im going to try this tomorrow. owsm and great tutorial, thank you. Im going to try this today.